Likewise, communication skills are equally important at work: one 2014 survey of nearly 600 employers discovered that communication skills are the most in-demand set of skills among recruiters. 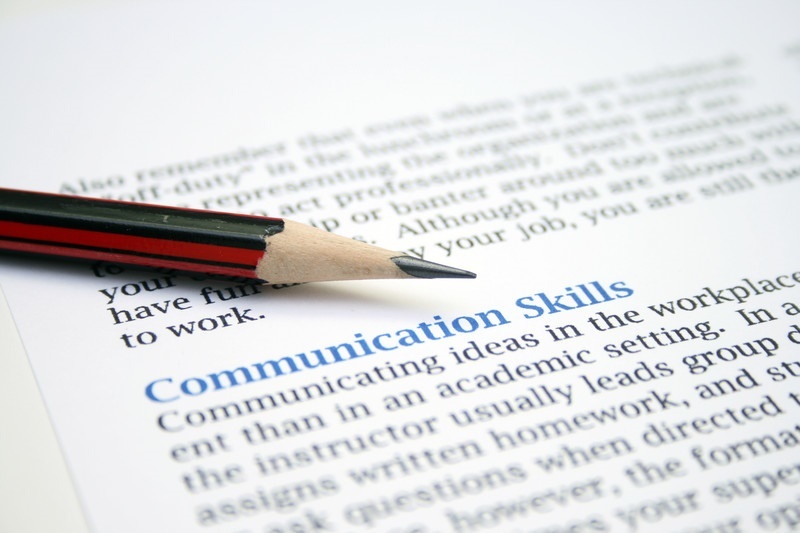 In fact, of five major skill sets employers consider most important when rendering a hiring decision, communications skills top the list. From maintaining healthy relationships to getting hired to getting promoted, communication impacts practically every element of our lives. Striving to improve our communication skills, then, is not a bad place to start if we desire to make some positive changes. Transforming into an effective communicator is not terribly complicated, but it will require some basic skills and the motivation to practice. The initial step is to understand that the objective of any communication situation is a genuine, open-ended exchange of information where all parties can be heard and appreciated. This requires assertive and articulate speaking skills, but, just as significantly, requires strong listening skills. As a matter of fact, listening skills may be the most significant component of communication. The explanation is very simple: if you are unable to understand what is being said, you won’t be able to formulate a relevant and significant response. This lack of ability to understand is the root cause of countless misunderstandings, quarrels, and bad feelings. Developing listening skills, then, is the single most important thing you can do to become a superior communicator. And while active listening can be challenging in its own right, hearing loss makes things even harder. Active listening necessitates dedicating all attention to the speaker. Only by thoroughly understanding the communication can you craft a relevant and substantial response, and that’s why inadequate speakers are nearly always preoccupied listeners. But what creates the distraction? If you’ve ever been overly stressed or anxious, you know how challenging it can be to focus your attention. You’re more likely to be focused on your personal thoughts and feelings rather than on the speaker’s, and you’re likely to miss out on crucial non-verbal signs and to misinterpret what other people are saying. With respect to stress, hearing loss itself is a considerable source. You may become anxious about missing out on important ideas or coming up with embarrassing replies. And, the struggle to hear speech in the existence of hearing loss is a source of anxiety and strain by itself. Active listening is challenging because our minds have the natural inclination to wander. You can’t simultaneously listen to the speaker and daydream, read your email, text, and prepare what you’re going to say next. Remaining within the present moment and focusing on the speaker is the only method to pick up on the subtle points of the speaker’s communication. Hearing loss creates a lack of focus because it removes you from the present moment. If you’re attempting to figure out what the speaker just said, you’re also missing out on what they’re saying right now. The continuous catch-up almost guarantees that you’ll never totally understand the message. Stress and lack of focus can both get you to misunderstand the message. This introduces the possibility of you becoming upset or irritated with a message that the other person never actually intended to send. This at the very least wastes time and in the worst case manufactures bad feelings. Not to mention the aggravation of the person who is persistently misunderstood. If you lack self-confidence, you’ll find it very difficult to assert yourself while interacting. You’ll probably also be preoccupied with what the other person thinks rather than on the content of what they’re saying. Hearing loss makes things worse, of course, because your misinterpretations could be perceived as a sign that you just don’t understand the message. If you’re constantly requesting clarification on simplistic points, it makes it hard to feel confident enough to be assertive. Becoming a better communicator requires becoming a better listener, but how can you come to be a better listener if you have hearing loss? You have several choices, but because hearing aids have advanced so far with respect to identifying and amplifying speech, they really are the perfect solution. Modern digital hearing aids have a host of tremendous features made primarily for speech recognition. Many hearing aid models come with background noise suppression, directional microphones, and advanced digital processing so that speech comes through loud and clear. Without needing to strain to hear speech, you can concentrate all of your energy on understanding the message. Then, as you become a more effective active-listener, your confidence, assertiveness, and speaking skills will all take care of themselves. If you have hearing loss and you’re ready to begin building distraction-free listening skills, book your hearing test today.